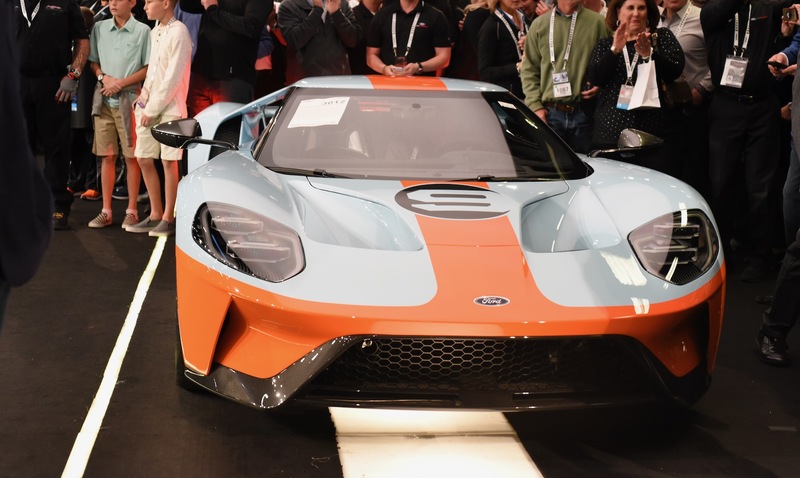 This weekend the first 2019 Ford GT Heritage Edition crossed the auction block at the 48th annual Barrett-Jackson Collector Car Auction where it went for a whopping $2.5 million. Rick Hendrick, the owner of Hendrick Motorsports, was the winning bidder and the proceeds from the sale went to support the United Way for Southeastern Michigan. The 2019 Ford GT Heritage wasn’t the only Ford at the auction block, since the first 2020 Mustang Shelby GT500 was also at the auction where it raised $1.1 million to benefit JDRF.